This fine china Teacup and Saucer set is unmarked. 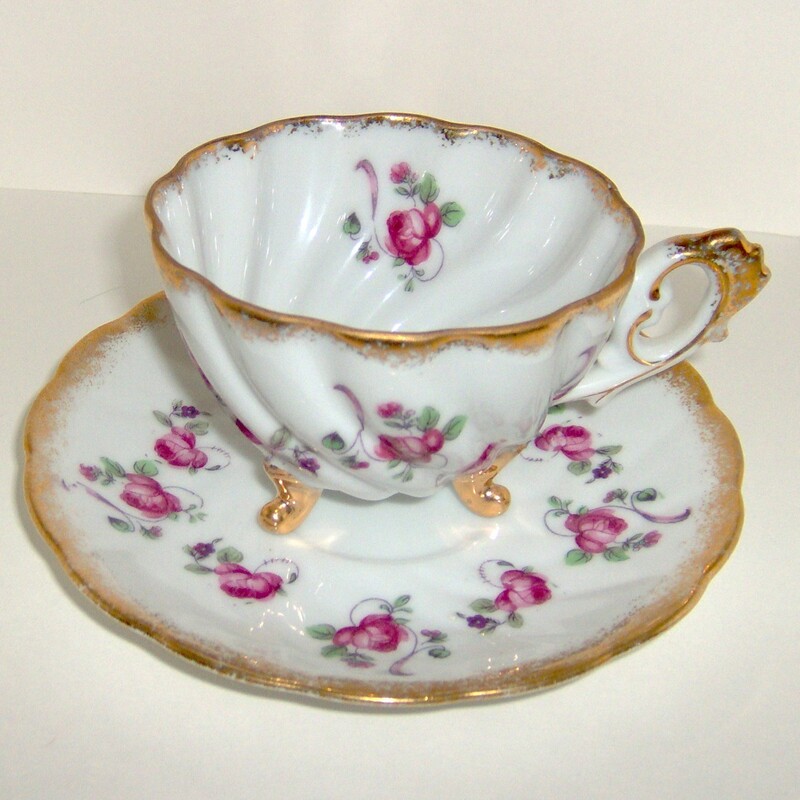 It features single roses circling the 3-footed cup and also ringing the saucer. Both cup and saucer have gold edging. The cup is 4.75" wide including the handle and 2.5" tall. The saucer is 6" wide. Really nice condition with NO cracks or chips. This set is one of several that I have received over the years. Many have been passed down from family members. I hope you enjoy it as much as I have. *************************************************************************** I am not a collector and what little knowledge I have has been gleaned from the internet. As far as I can tell, the items in my booth are all in good condition, except as noted. They were gently cleaned recently -I didn't want to hurt them. Measurements are my best attempt and may be off slightly. This is in no way intentional.